Affirmative action is still a reality of the American workplace. How is it that such a controversial Federal program has managed to endure for more than five decades? Inside Affirmative Action addresses this question. Beyond the usual ideological debate and discussions about the effects of affirmative action for either good or ill upon issues of race and gender in employment, this book recounts and analyzes interviews with people who worked in the program within the government including political appointees. The interviews and their historical context provide understanding and insight into the policies and politics of affirmative action and its role in advancing civil rights in America. Recent books published on affirmative action address university admissions, but very few of them ever mention Executive Order 11246 or its enforcement by an agency within the Department of Labor - let alone discuss in depth the profound workplace diversity it has created or the employment opportunities it has generated. This book charts that history through the eyes of those who experienced it. 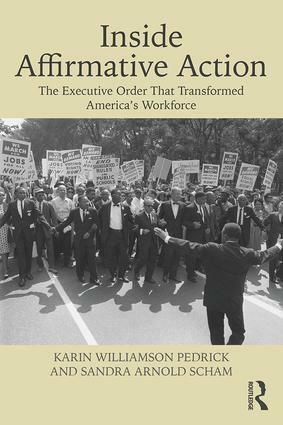 Inside Affirmative Action will be of interest to those who study American race relations, policy, history and law.